Byakurai had the most liked content! Something that has always bothered me was how alike these two jutsu are even though their descriptions are so much different. I understand that Mountain Crusher is a close range punch just as the description says but I fail to see how does Seismic Dash in any way show that the user moves at "a tremendous speed". Seismic Dash actually says it moves the user at high speed while Crusher only says it strikes the enemy, yet both of the jutsu are 2 tile homing warps. I think something should be done to make these 2 jutsu more unique. It would be cool if there were Food items which would increase health regeneration speed. To use Food you would need to be out of combat, Food would be a stand cast item (no moving while using it) with the time to cast being around 3-4 seconds or longer. I think this would be a good alternative for when you don't have a medic around when you're grinding to reduce the time you're regenerating, or for when you're trying to regenerate after a battle and want to reduce the time it takes to fully heal. Food shouldn't cost as much as Blood Pills or Toad Oil so that lower level players can buy it to help them with grinding. There could different tiers of Food that increase health regeneration speed by different amounts. It only removes the instant cast CC potential, in return you get a good gap closer. Even though I appreciate the effort made to nerf this jutsu, I think that giving it a self stun as a short term balance solution is not a really good thing to do. I think that a better way to nerf this jutsu looking at the long term would be to give it a cast time. Since Agility reduces cast time and when advanced comes Gates will buff Agility, even a cast time Seismic Dash could become a really short-near instant cast jutsu. 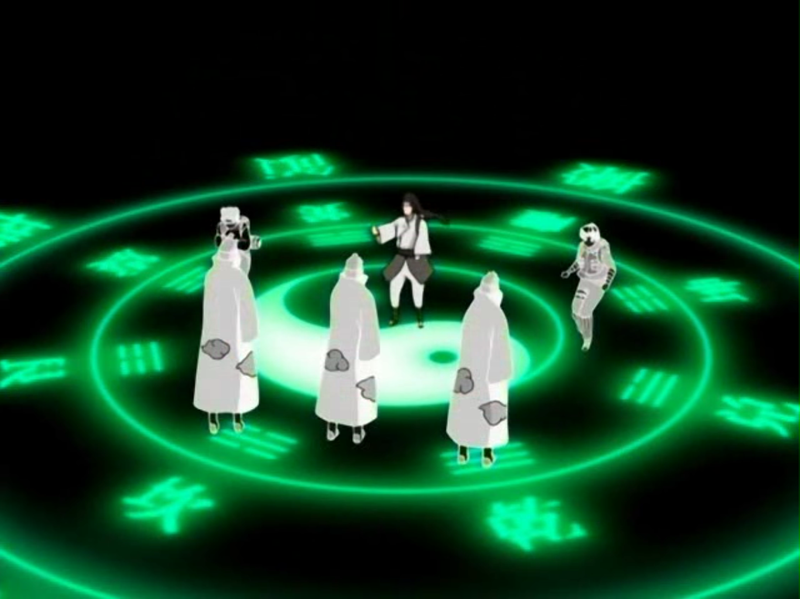 What I'd like to see this jutsu be like is that it's a 1 second stand cast (no moving while casting) with 6-8 tile range with less base damage or no base damage at all. The cast animation of the jutsu could be the crater it does on the ground right now so that people can prepare a jutsu to counter it. If needed the jutsu could share cooldown with Body Flicker. The values could be different and it could be less range run cast but I'd really like for the Agility cast time reduction to be taken into account when balancing Taijutsu since I think that it could be a good way to balance the mastery and make some of the jutsu more "high risk high reward". Great Water Shark hitbox is at the shark's tail instead of it's nose. @Ueda Please fix this since it's been like this for a while now. How would their scaling be 1.2 if they have no other means of doing damage other than landing jutsu and shuriken? I think a big part of why elements struggle so much against melee masteries is because how much stronger melee masteries end up scaling than elements. Taijutsu and Gentle Fist have short cooldowns and jutsu that are easy to combo into warps, Weapon Mastery has insanely strong melees and two homing warp jutsu that make those melees rather easy to land. Fan mastery has really strong base damage on weapon that knocksback on every melee. Compared to them, element masteries which mostly rely on landing your jutsu which are sometimes rather hard and when they hit, you'll end up doing less damage than melee masteries, along with having higher cooldowns than melee masteries. For example let's take a Weapon Master with 110 STR and a Bone Sword. A melee will hit for around 73 damage, a Risky Blade will hit for around 92 damage. Since the mastery can land jutsu and melee at an equal rate it ends up outdamaging elements by a huge margin. A melee+Risky Blade which hits really often ends up doing 165 damage on 110 STR, compare that to an element mastery which will do around 95 damage with jutsu on average at 110 INT and it's obvious which one will have an easier time winning. Gentle Fist has 0.6 scaling on jutsu, 0.33 scaling on melee. On 100 STR it ends up getting 93 damage from scaling compared to intellect only getting 60. Even Taijutsu which is supposed to be weak in damage has 0.31 scaling on melee and 0.33 scaling on jutsu which on 100 agility ends up being 64 damage from scaling. Fan mastery with Blue fan and 60 STR ends up doing damage with it's jutsu that corespond to having 60 int on an element mastery, while also having 31 base damage on their weapon that knocksback on every melee. Elements have much higher cooldowns and do not have any melees or flicker combos to deal consistent damage while having only 0.6 scaling per jutsu. I think that PvP would be balanced out a lot if either Elements scaled harder or Melee masteries scaling was toned down a bit. The jutsu is not fine in any way considering the map switch cooldown. Someone can camp an entrance and you have no way of avoiding getting map locked by sensory. Give it a 2 second cast time and increase the range if needed. Give it a 2 second cast time. This started happening when Seth released a fix for the bug that made Lightning Cutter go full run cast if you chained it with an instant cast. Now, when you use an instant cast and try to go for a cast time really fast the cast time jutsu cancels itself. This can even happen with instant casts, you use a shuriken and go for a jutsu like Vacuum Sphere that selfstuns, Vacuum Sphere doesn't cast but it still selfstuns you for 1 second. Gates are supposed to be large buffs that have a strong backlash on the user. Like 50% agility buff that has a DoT on user or gives you BI once it ends. When you are hitting mobs with melee it makes a sound but when you hit a player with a melee it doesn't. Swords and Fans make sounds when they hit players so it would be nice if punches did too. I feel like this will get locked as another "nerf Flicker" topic while it clearly doesn't change Flicker in any way, it only puts the instant cast jutsu which are an issue on cooldown. Vacuum palm should prolly be faster with smaller range.